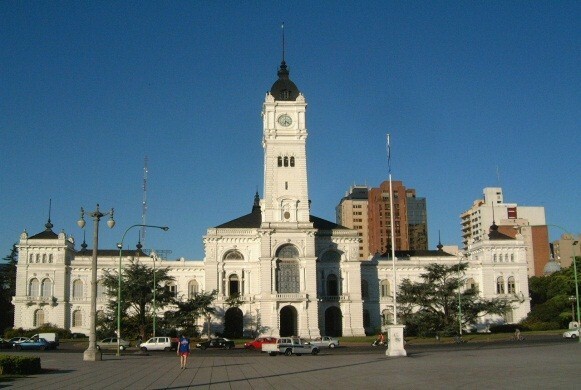 The city of La Plata is the capital of the Province of Buenos Aires, Argentina, the main state in the country. It has a population of near 800,000 inhabitants. La Plata is located in the northeastern Province of Buenos Aires, only 56 km (34.80 mi) southeast of the city of Buenos Aires. You can get there in less than 1 hour if you take the Buenos Aires-La Plata highway by car or taxi. 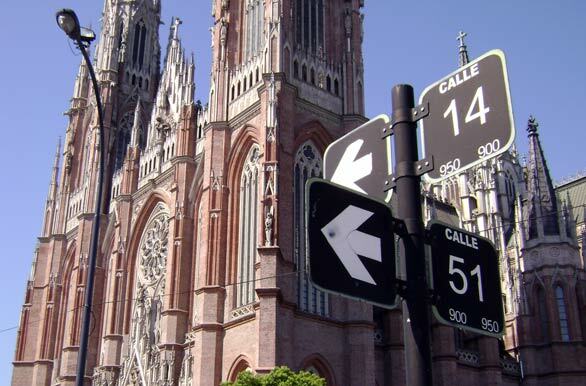 You can also take the train – “C” circuit, General Roca Line – from Buenos Aires. The population is predominantly descended from Spaniards and Italians, but there are also groups of German, Arabic, Bolivian, Jewish, Paraguayan, Peruvian and Polish descent. La Plata hosts one of the most renowned universities in Argentina, the National University of La Plata. 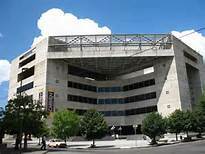 It has over 75,000 regular students, 8,000 teaching staff, 16 faculties and 106 available degrees. 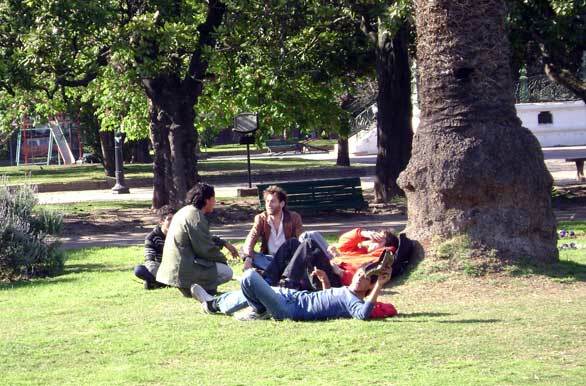 UNLP students and professors include Raúl Alfonsín; President of Argentina (1983–1989), Néstor Kirchner, President of Argentina (2003–2007); Cristina Fernández de Kirchner , President of Argentina (2007–2015); Dr. René Favaloro, creator of the technique for coronary bypass surgery; Carlos Saavedra Lamas, 1936 Nobel Peace Prize, and many other celebrities of Argentine culture. Culture has a major role in the city of La Plata. This is reflected in the large amount of cultural centers, theaters, museums, cinemas and libraries that are in the city. 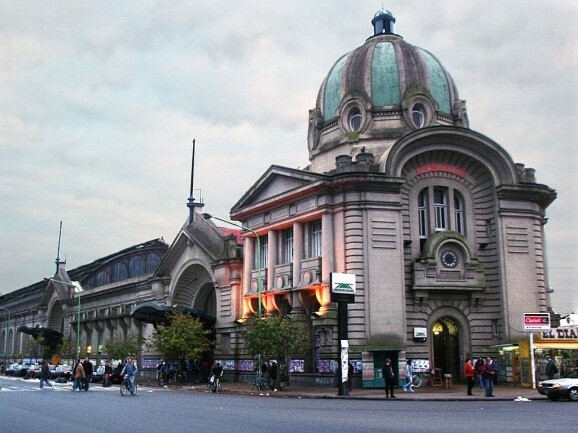 La Plata has three big theaters, the Teatro Argentino de La Plata, one of the most important theatres in Latin America, the Teatro Municipal Coliseo Podestá and the open amphitheatre Martín Fierro. 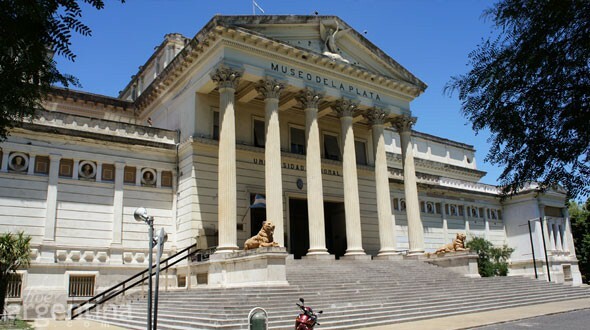 The most significant museums in the city are the Museum of Natural Sciences, belonging to the UNLP, the Contemporary Latin American Art Museum and the Museum of Fine Arts. Among the cultural centers, more than a hundred, we have the Dardo Rocha Cultural Center, the Centro Cultural Islas Malvinas and the Estación Provincial Cultural Centre. The city has great attraction to music and a lot of festivals and concerts are organized every year. There is a strong tradition in popular music, like tango, folklore, jazz and rock, and various well-known bands were born in La Plata such as Los Redondos de Ricota, Virus, Guasones and Opus Cuatro. The trace of the city, designed by architect Pedro Benoit, is characterized by a strict grid with many avenues and diagonals. In the convergence of the two major diagonals is located Plaza Moreno. 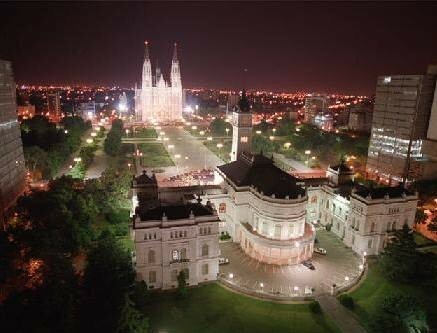 This is the main square of the city and it is between the City Hall and the Cathedral in Neo Gothic style, with its towers 112 m high. 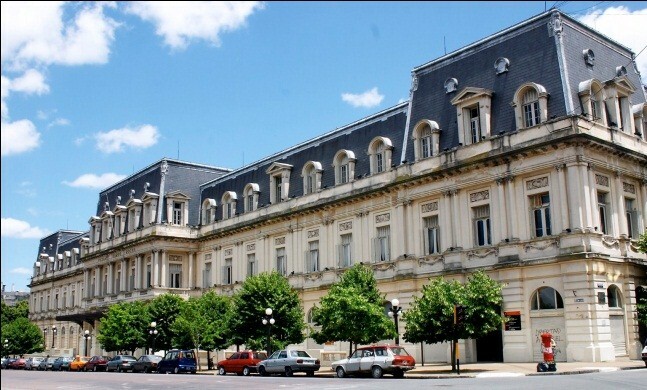 Highlights of the city are the Museum of Natural Sciences, the Provincial Legislature, the new Teatro Argentino and the Hippodrome. Many of these buildings were built at the time of the founding of the city, following an international call for proposals. 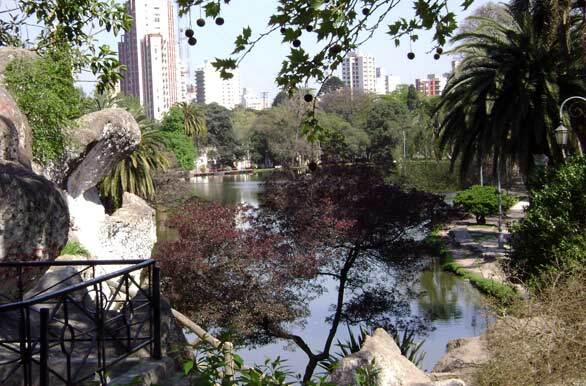 It is a very green city, with its largest so-called Paseo del Bosque (or simply ‘the forest’), with its lake, amphitheater Martin Fierro, the Zoo and Botanical Garden, the Astronomical Observatory, and the Natural History Museum with its famous collections. 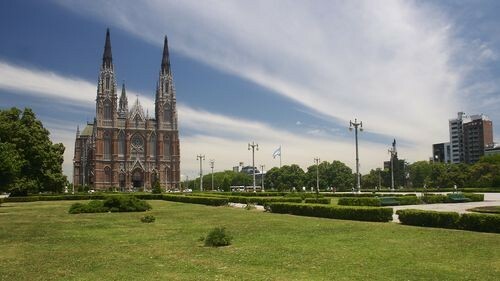 Other attractions are the nearby Parque Pereyra Iraola, and the great and so-called Republic of children which is said to have inspired Walt Disney to build Disneyland; then, there are videos that prove that Disney, before building the park, visited the Republic of Children during his visit to Argentina. 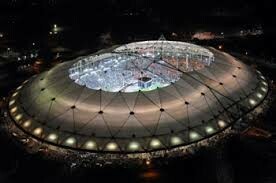 The city also has the Ciudad de La Plata stadium, influenced by modern high-tech architecture. 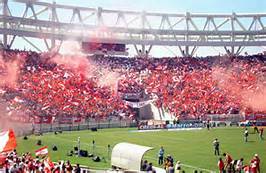 The most popular sport in the city, as in the whole country, is football. 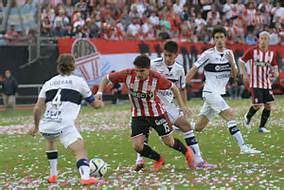 Among the many clubs that play football in the city, two of them stand out and these are the clubs Estudiantes de La Plata, which has won a lot of National and International Cups, and Gimnasia y Esgrima La Plata. From these two teams came out great players like Martín Palermo, Francisco Varallo, Juan Sebastián Verón and his father, Gustavo and Guillermo Barros Schelotto, Leandro Cufré, among others. La Plata has a humid subtropical climate. During winter, temperatures are cool during the day and cold during the night which can reach below freezing. The average temperature in the coldest month, July is 8.9 °C (48.0 °F). Snowfall in the city is rare. Summers are warm to hot with a January high of 29 °C (84.2 °F) while night time temperatures are cooler, averaging 18 °C (64.4 °F). Spring and fall are transition seasons featuring warm daytime temperatures and cool night time. The city is fairly humid, owing to its coastal location and the average humidity greater than 75% in each month. La Plata receives 1,092 millimetres (43 in) of precipitation a year, with winters being the driest months and summer the wettest months. On average, La Plata receives 51% of possible sunshine, ranging from a low of 41% in June and July to 62% in February.